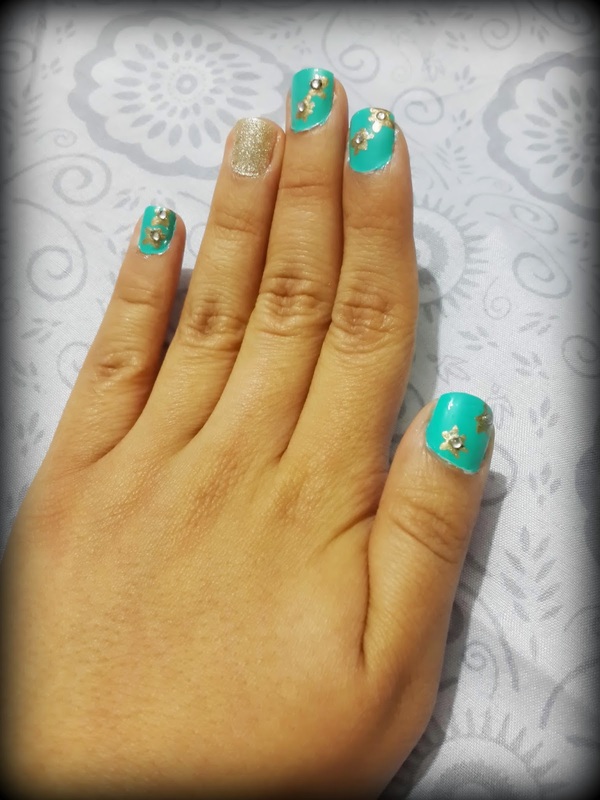 If you got all interested to do this Nail Art then keep reading. I'll tell you ways 2 do this Amazing Nail Art! 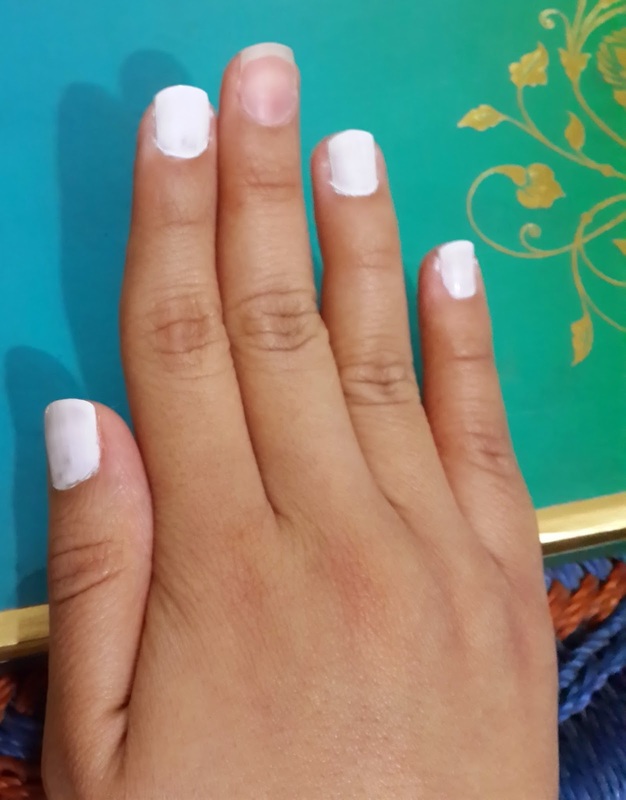 Paint your nails White to make the nailpaint Pop. 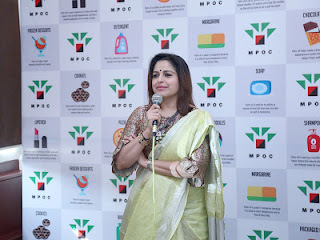 When We add white to light colours or neon colours the colour stands out. 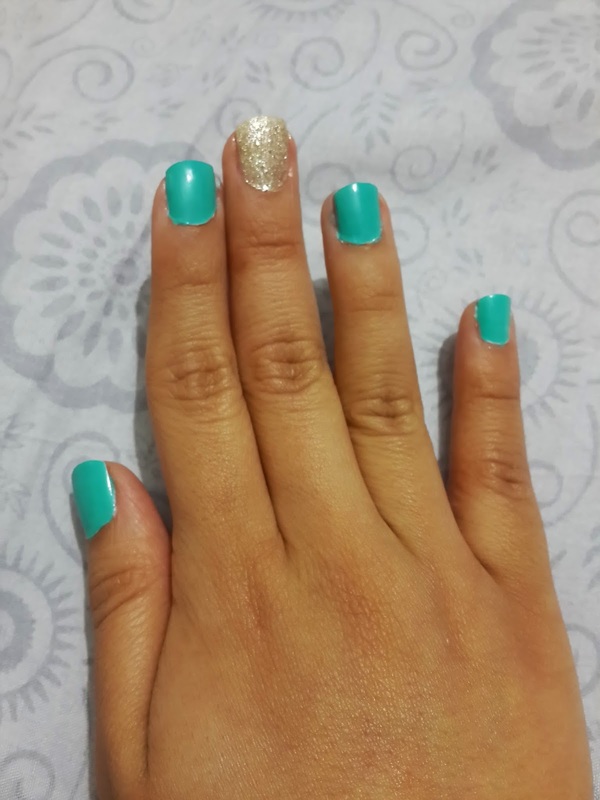 Leave a nail so that you can apply glitter polish or some fancy colour for contrast. 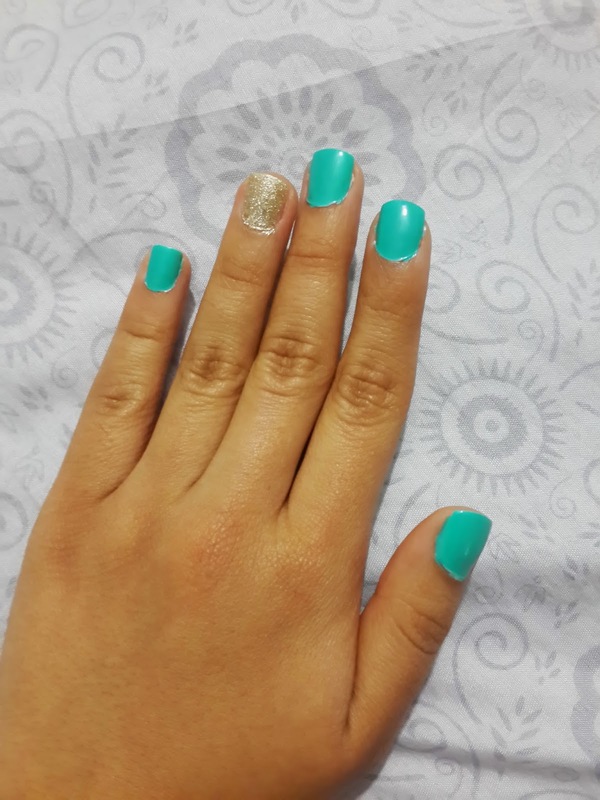 Paint your nails with turquoise colour over the white nails. 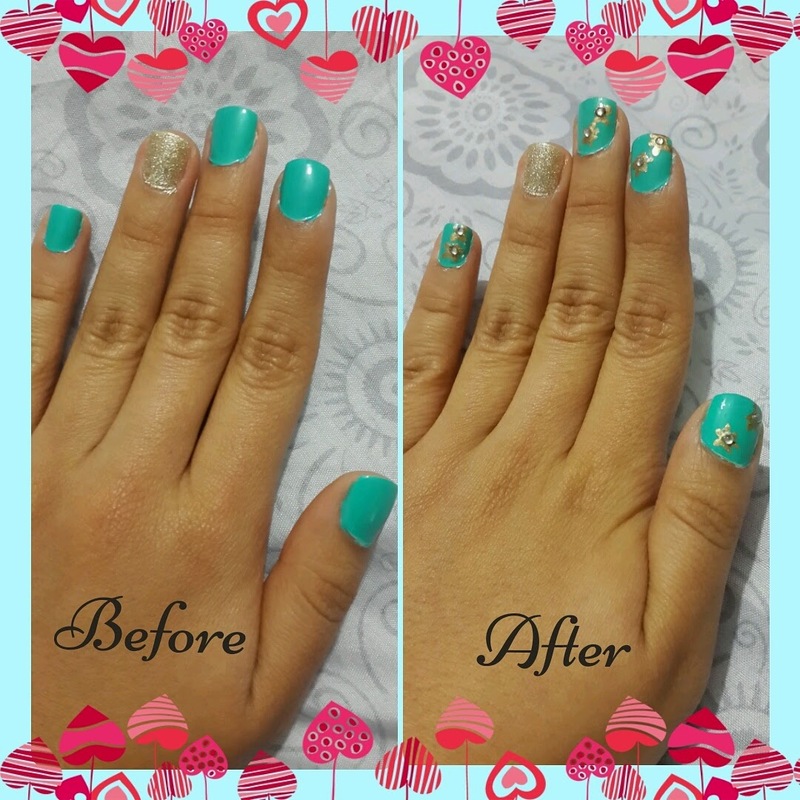 Add glitter polish to the finger you left before. Keep a Q-tip handy and a nailpolish remover to correct the nailpaint on the sides of the nail if its done by mistake. 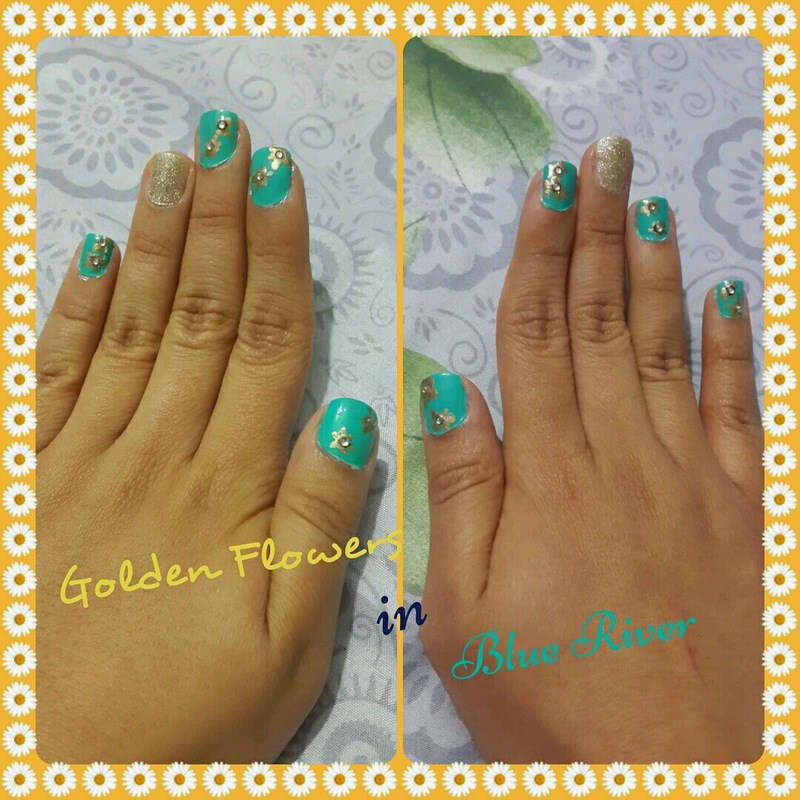 Draw Golden Flowers with a gold Nail paint. Draw it in a symmetry so that it looks similar on every nail. 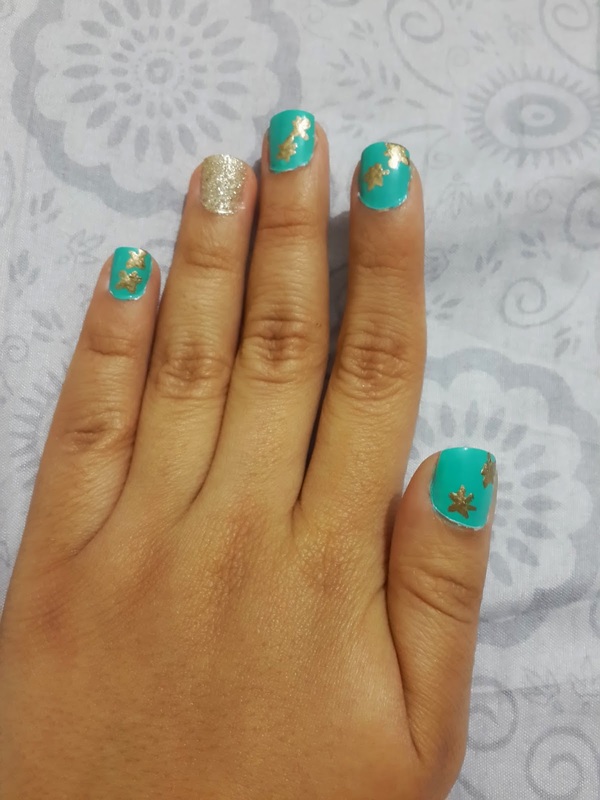 Add Rhinestones or swaroski stones to your Golden flowers with the help of the toothpick and clear nailpaint. So here's the Final Result! or post it on my Googleplus wall.